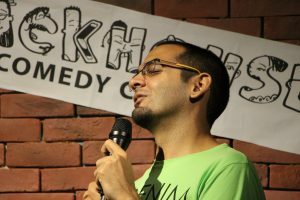 5 Delhi Based Standup Comedians Who Made Us Delhiites Proud & ROFL Too! There is nothing in the world as contagious as laughter and a good sense of humor. Being Dilliwalas, a good sense of humor runs in our blood (setting up our collars high! ), but some of us made it big in the stand-up world, and we’re super proud of ‘am all! And to celebrate these Ustaads of comedy, we bring to you the best of the bests, check them out! 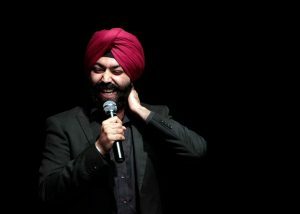 A journalist turned comedian, Vikramjit Singh has been able to constantly make us go LOL with his superb sense of humor. He has been featured as one of NDTV’s ‘Rising stars of Comedy’ and also has bagged the title of ‘Radio One Lol Championships’ in Delhi. And if that wasn’t enough, this one is also a columnist with The TOI, and his column is rightly named as ‘Why So Serious’. A true Dilli da Munda, his sense of humor is thodha hatke! With his extraordinary observational skills and superb timing, he very knows how to slay on the stage. With his Shatabdi Speed and a unique accent he surely manages to make us giggle EVERY. SINGLE. TIME. He recently has come up with his brand new show ‘Thoda Saaf Bol’, and we’re already loving it! This guy is one of the first successful stand-up comedians to emerge out of saddi Dilli. Every time he is on the stage, he strives for something new to thoroughly entertain his audience! 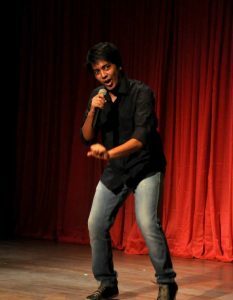 He has performed to sold-out-shows at India Habitat Centre, Epicentre and at bars and many open mics around the city. He is also the founder and director of Cheese Monkey Mafia, a free-willed collective pushing performance arts in the capital city. He has always been able to come up with absolutely new ideas to make his audience hoot with laughter. Popularly known as SKY Gupta, this guy with deceptive looks surely knows how to capture his audience with his own style of comedy. This guy who looks like a small kid is actually an adult with super high observational skills and certainly has the caliber to make you fall off your seat laughing (no kidding!). 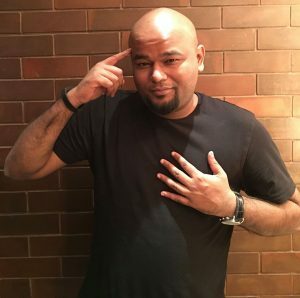 His content mostly revolves around Metro travels (so relatable) and more. Currently, he is on a mission to spread happiness with his stand-up special Bhai Khush Raha Kar. We’re trying to do that, are you?! 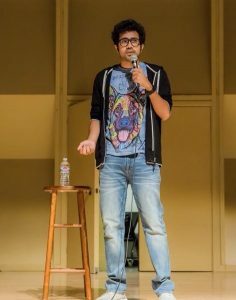 Nishant Tanwar better known as Joke Singh does true justice to his pseudonym by cracking hilar-some jokes and making the audience ROFL every time he performs. 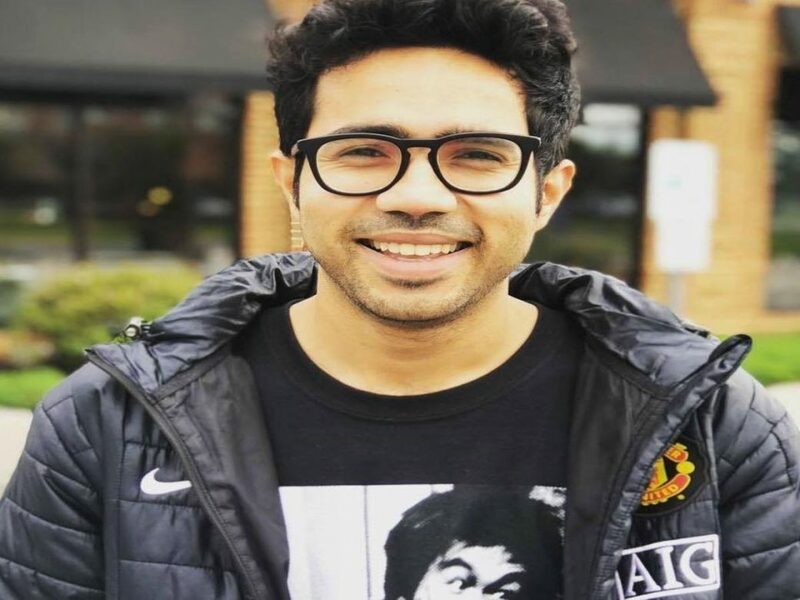 Taking digs at stereotypes in the Indian culture, his humor is universal and connects with all segments of people. He has hosted ‘Joke Joker Jokest’ organized by the TOI. You guys should defo witness him perform and we bet y’all are gonna be convulsed with Laughter. So, if you haven’t caught them live yet, it’s time you do it right away!